Through the conductance of GCET Counselling, the eligible and deserving candidates of Goa state get admission in various engineering/ Medical institution of Goa state. 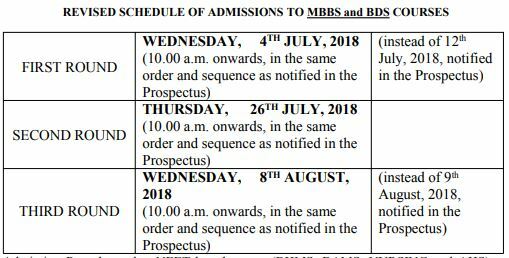 Remember that you will get admission on the basis of your Goa CET 2018 Merit Rank. There is defined a code of application form for each course. The applicants are suggested to fill the counselling form carefully and then pay GCET Counselling Registration Fee 2018. After the completion of counselling, the conducting organization will release GCET Counselling Round I, II Seat Allotment Result on the official website. Under the notification of GCET Counselling 2018, The candidate has to report in person to the pre-decided venue with intimation process through the contact details provided at the time of filling GCET application form. Thereafter they will require to fill the GCET Counselling Registration form, go through choice filling process followed by document verification and at the end they will be allotted seat. The applicants are required filling application form during the time of counselling. 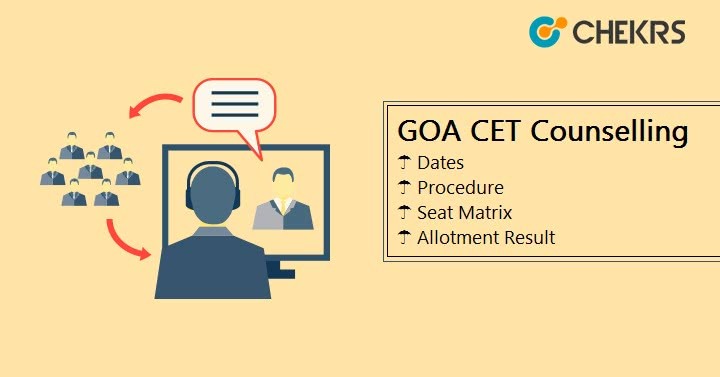 The candidates who are going to appear in one of the GCET Counselling will fill all the asked details which would be related to Personal and academic records in the Goa CET Registration Form 2018. We will update the link of the same after it gets announced on the official website. The candidates who would present in the counselling procedure will be called one by one as per their rank in the entrance examination of Goa CET 2018. The applicants will require bringing all the following documents along with their photocopies at the time of counselling for the verification purpose. The applicant must belong to Goa state. The applicant must have qualified GCET 2018 entrance examination. The applicant must have completed XII class with minimum 50% from a recognised institution. As the Goa CET Counselling Procedure 2018, would finish just before that GCET Counselling Round I, II Merit List will be announced on the official website along with the name of the institution and branch where candidate’s seat has been allotted. we will also update the same after it gets announced on the official website. For more such updates for Top Indian Engineering College’s Admission 2018, you can click on the link.